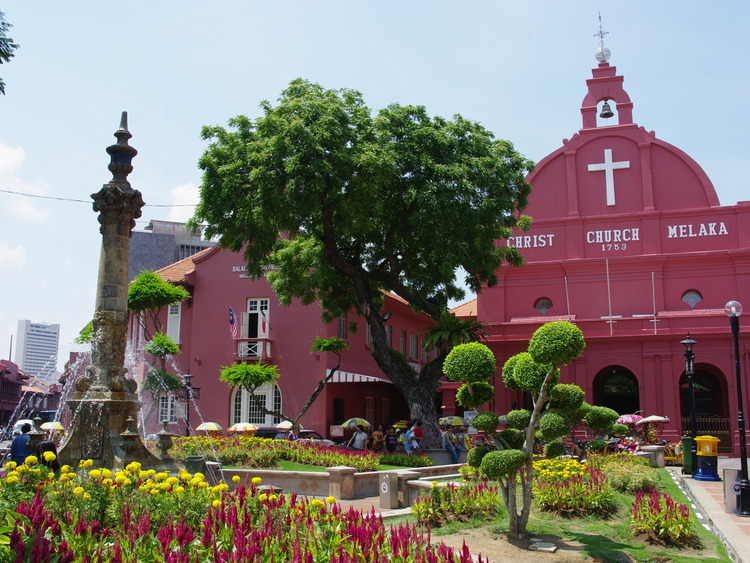 A pleasant walk to discover the great empire of Malacca and of the Malaysia sultanate through testimonies left by the Portuguese, Dutch and British dominions. Our excursion in Malacca, an old spice trading centre frequented by Eastern and Western merchants, starts at Dutch Square and the Stadthuys (exterior visit). The palace was built in 1650 as the official residence of the Dutch governor and his officials and is a clear example of period Dutch architecture thanks to its original shape and structure. We pass in front of Christ Church (exterior visit), built in 1753 and another testimony to the dominion the Dutch established when the defeated the Portuguese in 1641. Our next stop is the Governor's Museum, also known as Muzium Yang Di-Pertua Negeri or Muzium Tuan Yang Terutama. Once called Seri Melaka, it is located in the old official residence and offices of the Dutch governor in Malacca on St. Paul’s Hill. It was used as the official residence of the Tuan Yang Terutama, i.e. the governor, until September 1996. The museum displays the personal items of the various governors of Malacca since it first gained its independence starting with the first - Tun Leong Yew Koh. As we walk around St. Paul’s Hill, we can admire the ruins of the church where the famous missionary St. Francis Xavier was sanctified in 1553. We then reach the main square to admire the exterior of one of the most popular and photographed sights of the city - A Famosa - built by the Portuguese as a fortress. As we climb down the hill as far as Porta de Santiago, we get the chance to admire a wooden replica of the Sultanate Palace with its wealth of details and finishes. A characteristic trishaw (colourful cycle rickshaws) ride will take us back to the port making this a truly unforgettable fun experience.